Our Executive Team - SteriMax Inc.
Mahen (Mike) Acharya is the founder, Chairman and CEO of SteriMax Pharmaceuticals Inc. Mr. Acharya was born in Nairobi, Kenya where he completed his Secondary education at the Duke of Gloucester School and obtained a degree in Bachelors of Pharmacy at the University of Bath, one of UK’s leading teaching universities. Since his graduation in 1973 and subsequent immigration to Canada, Mr. Acharya has been a leading entrepreneur in the Canadian pharmaceutical industry for over three decades-first as the founder and operator of a successful chain of retail pharmacies in Ontario under the banner Super Discount Drugs, which were subsequently divested to Shoppers Drug Mart in the 80’s. He then recognized an unsatisfied need in the drug distribution business for a regional wholesaler who could provide drug products and other services to local independent pharmacies inadequately serviced by the large national wholesalers. He started Trent Drug (Wholesale) Ltd. with a philosophy to provide pharmacies, small and large a high-value, low-cost individualized service. Over the next 20 years, the company grew from the basement of a pharmacy to become the 3rd largest National drug wholesaler in Canada, operating 7 distribution centres from coast to coast. As head of Trent Drug (Wholesale) Ltd., Mr. Acharya worked closely with generic and branded companies to facilitate their sales process and product initiatives and pioneered many innovative concepts in distribution logistics including the introduction of prompt payment discounts to good customers. 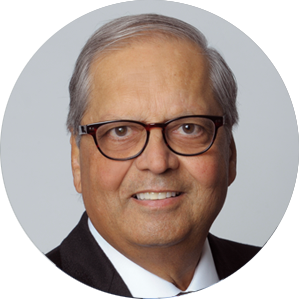 During this period Mr. Acharya actively served on the Board of Directors of Canadian Association for Pharmacy Distribution Management (CAPDM) responsible for 80% of all distribution of pharmaceuticals in Canada and became its longest serving Board member. In 2005, Mr. Acharya divested Trent Drug (Wholesale) Ltd. to AmerisourceBergen, a top Fortune “50” company with revenues of over $50 billion and one of the largest pharmaceutical distribution companies in the world. In the 90’s, while Trent was still operating, Mr. Acharya, once again recognized an unmet need for a pharmaceutical company that can specialize in the production, marketing and distribution of niche, small volume parenteral products with a strong focus on customer service. Through a series of strategic alliances, he was able to gain a foothold in the Canadian hospital market, initially distributing an injectable product line as well as a small oral dosage line. In 2004, SteriMax solidified its position in the marketplace by acquiring 5 branded products from Novartis. Under Mr. Acharya’s vision and leadership SteriMax is poised for continued growth and success with a robust product pipeline, an in-house management team with expertise in research and development, regulatory affairs, manufacturing, business development and sales and distribution and a mission to become Canada’s premier pharmaceutical company for evidence-based medicines to hospital and retail pharmacies. When not pursuing his passionate vision of SteriMax, Mr. Acharya is an avid golfer and tennis player and belongs to four golf clubs in Canada and the USA. He is also a philanthropist and has been a longstanding supporter of the Kingston General Hospital as well as strong supporter of the Grand Theatre (one of the main cultural venues in the greater Kingston region) and many other charitable foundations during his tenure in Kingston. With over 25 years in the Canadian Pharmaceutical industry, Greg is an accomplished executive with a broad background in Finance, Commercial Operations and General Management. Leveraging his Bachelor of Commerce, Chartered Accountant Designation, and diverse array of cross-functional experiences Greg’s career has enabled a solid foundation in finance, manufacturing, strategic planning, sales and marketing. He has held a variety of leadership positions in multi-national organizations, large and small, consistently advancing the success of those organizations and the teams that contributed to those accomplishments. 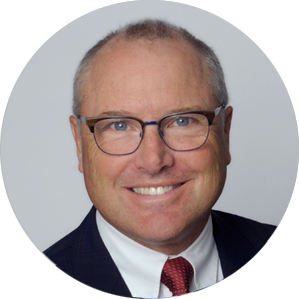 Prior to joining SteriMax Inc., Greg was the President of Basilea Pharmaceutical Corporation, the Canadian affiliate of a Swiss Biopharmaceutical company that was focused on the launch of a small portfolio of Infectious Disease and Dermatological products. Prior to this endeavor, he enjoyed over 15 years with Wyeth Pharmaceuticals, in Canada, where his last position was that of Vice President, Sales & Marketing Operations. Samir is an accomplished pharmaceutical executive with over a decade of work experience in various areas of the pharmaceutical industry. Samir began his pharma career at Trent Drugs (Wholesale) Ltd, learning the pharmaceutical distribution business from the ground up working in the warehouse. Following graduation from Queen’s University in 2001 he left Canada for Basel, Switzerland to do cancer research for Hoffman La-Roche at their head office. His work there led to a publication in the Archives of Biochemistry and Biophysics. After returning from Switzerland he re-joined Trent Drugs working in sales and operations. He was promoted to increasingly senior positions including Director of Business Development. When Trent Drugs was purchased by AmerisourceBergen he was promoted to Vice President, Health Systems. During his tenure at Trent/AmerisourceBergen he opened up the company’s distribution to the hospital segment, negotiated agreements with tier one manufacturers and hospital group purchasing organizations and grew the revenue into hospitals by over $30 million. Samir’s science background also afforded him the responsibility of the quality department for Trent’s 7 distribution centres where he successfully managed multiple Health Canada GMP and Narcotic Inspections. Since joining SteriMax in 2006 Samir has worn many hats encompassing all aspects of the business as the company has grown from 4 people and 12 products to over 100 people and 60 products. His primary responsibilities today as Executive Vice President include direct oversight of all business development and sales/marketing activities, including in/out licensing, acquisitions, product launches, as well as management of key stakeholders. Samir holds a Bachelor of Science (Honours) in Biochemistry from Queen’s University. 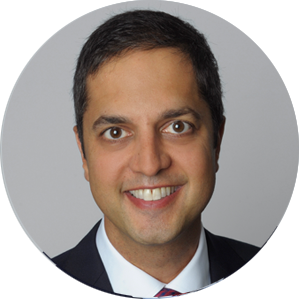 Ritesh joined the company in 2012 and has evolved into an accomplished pharmaceutical executive while maintaining his professional and practical obligations as a licensed pharmacist. He obtained his Masters of Pharmacy from the prestigious UCL School of Pharmacy in London England, a program that places unique focus on the industrial and research aspects of pharmaceuticals. He then followed this overseas education with 4 years of clinical practice which provided him with a good grasp of front-line Canadian pharmacy practice before joining the organization. 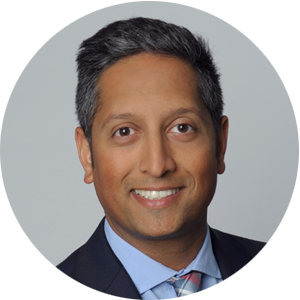 Ritesh spent his early days at SteriMax on special projects in the areas of Product Innovation, Business Development and enhancing pharmacy services to Canadian Hospitals. This focus enabled him to establish a professional context, and credibility, to our customers and suppliers that only a pharmacist could. Ritesh efficiently learned the critical requirements for advancing the scientific and regulatory capabilities of the organization. This preoccupation has evolved into his present role that includes direct oversight of research & development, technology transfer, regulatory and clinical activities. Ritesh brings a solid dose of entrepreneurial drive, professional expertise and focused leadership to the entire team.